ALDINE Celebrating its fifth year of operation, the Aldine Improvement District continues to move forward on a multi-point plan to address water and sewer issues that have plagued the area for decades. Spearheading the effort as far back as 1997, State Rep. Kevin Bailey (D-140) said that while the scope of the problem remains daunting, recent signs of progress are encouraging. 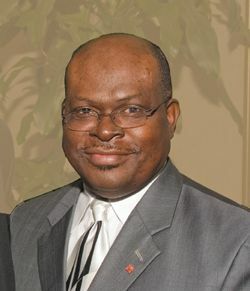 Since his days with the City of Houston and his famous 1991 Bailey Bill which required the city to provide sanitary water and sewer services to residents in more than 100 neighborhoods, until he filed legislation early in his term as a state representative in 1999 to enhance the Harris Countys ability to provide such services, Mr. Bailey has championed the provision of clean drinking water and sanitary sewer services to underserved Houstonians. In June 2001, that drive resulted in the creation of the Aldine Improvement District (AID), which had development of water and sewer infrastructure as its top priority. This issue is critical to the health and welfare of everyone in Aldine and I believe the key to unlocking our potential for economic growth and stability, said Bailey. Harris County has contributed a great deal of its time and resources to this effort, and the Aldine Improvement District has truly been the catalyist in bringing many levels of government together to develop solutions. Also, I have been made aware of opportunities to secure additional funding at the state level due to the current budget surplus, so I see a lot of reasons to be optimistic, said Bailey. Today, working with the State Rep., Harris County, and the city of Houston, the Aldine Improvement District is making strides toward a long-term solution. A regional study, completed in 2004 and funded by a grant from the Texas Water Development Board secured by Rep. Bailey, found that the area was facing a $200 million infrastructure need. The study concluded that of 11,000 homes within the District, 4,500 utilized septic systems while several thousand drew water from shallow private wells. Health hazards created by this situation were serious: poor water quality, exposure to aquifer contamination, and failing septic systems that sometimes discharged sewage into yards and ditches. In January 2005, with legislative assistance from Rep. Bailey, the Aldine Improvement District created a local government corporation to develop and implement solutions to the water/sewer issue. Known as the Aldine Water Sewer Authority, the corporation soon crafted a three-part regional plan. First, the Authority identified priority areas of need and focused on neighborhoods with the highest prevalence of shallow wells and failing septic systems immediately adjacent to city of Houston boundaries. For these areas, AID in partnership with Harris County, developed a model to build water and sewer systems to city of Houston standards utilizing Community Development Block Grants (Federal/HUD) allocated through Harris County. Once built, the city will take over maintenance and operation of the new system, and support that service through affordable usage fees. The pilot project got underway this October with an interlocal agreement between the District, Harris County, and the city of Houston to bring sewer service to the Tasfield subdivision, a 90-home, low-income neighborhood with commercial water service but no sanitary sewer. Cost to the District was $120,000. Harris County contributed $1.2 million in CDBG funds. Together, they ultimately hope to serve around 700 area homes with this model. This innovative approach will reduce the developers administrative and legal costs, provide the necessary return on investment, and offer their new home buyers a level and fixed payment schedule. It will also allow the improvement district to partner with developers to oversize water and sewer lines for service to nearby areas in the future. Finally, the Aldine Improvement District found a willing partner in the areas largest public service provider, Sunbelt Freshwater Supply District, to upgrade and extend its water/sewer facilities to more homes and neighborhoods in Aldine. GREENSPOINT At the monthly luncheon of the North Houston Greenspoint Chamber, Jim McIngvale of Gallery Furniture gave a rousing talk about How to be Successful in Business, based on his experiences in the furniture business in Houston. Mack said that he built success on hard work, dedication, and most of all attention to customers. This latter element is necessary for any successful business enterprise. At the end of the day, its all about people (customers), he said. He convinced his girlfriend to come, but only after she convinced him to marry her. His catchword philosophy, persistence, worked both ways. Starting with only $5000 in cash, he found a way to advertise on television, but remembers that for 10 years in a row he has been voted worst tv commercial in local broadcasting by the University of Houston marketing students. Today, his business has grown from these principles and techniques to an uprecedented $170 million dollar business, known nationally as the highest grossing furniture business in any one store location. His talk expanded this time to include three stories about his family and their difficult experiences. Then he told the story of his brother George, and his fight for survival with a bad heart condition and a misdiagnosis. Through the dedication and selflessness of Dr. Mann, head of cardiology at St. Lukes Hospital, the correct diagnosis was finally made in time to save his brother through heart surgery. Finally, Mack related the story of his daughter, now 19, who lives with OCD, or Obsessive Cumpulsive Disorder. This mental illness is not always acknowledged in the medical profession as treatable, and he thanked those in the profession that had been sympathetic to helping her. This spirited and deeply personal narrative about success in business and life was well received by the members of the Chamber. Afterward, president Reggie Gray presented McIngvale with a recognition plaque for his contribution as a Chamber STAR, and his renewal as a member of the chamber. During the February 20 board meeting, Trustees unanimously passed an order to hold an election on Saturday, May 12, 2007 to seek voter authorization for the sale of schoolhouse bonds. The amount of the bond proposal is $365 million and includes construction of new schools, renovations, replacements and other projects to meet the needs of the school district over the next 10 years. An assessment committee of parents and community partners recommended the projects to the school board after reviewing a district needs assessment. Early Childhood/PreK centers, four, one in each current area. Other uses of the monies would be for improvements in transportation, athletics, security, and disability standards. The board studied the committees recommendation for two months before taking action at the Feb. 20 meeting. Coming across the border from Louisiana a couple of weeks ago we stopped at the Texas Welcome Center at Orange. I have been in a lot of states and many welcome centers but I believe this is the best and most elaborate Welcome Center I have ever visited. But that is not the point of this column. While visiting the center I picked up a couple of Texas newspapers. I like to read newspapers, large and small, that I find in such places, as well as at newsstands and restaurants across the country. 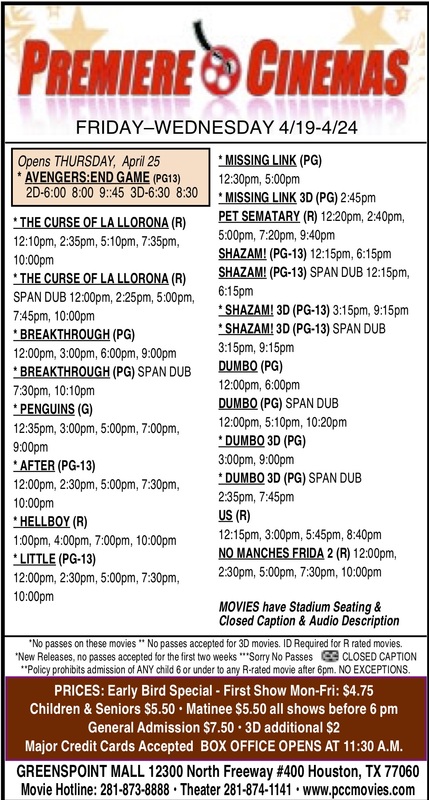 One of those was the Orange County News, a Hearst newspaper published in Beaumont. The lead article in that newspaper concerned the Foster Grandparent Program, a national program that enlists retirees to work with young people needing attention. The article featured one Donna Peterson, a senior from Orange County and the first one to complete training in that East Texas town for the Foster Grandparent Program. I am not familiar with that program but the article states there are some 25,000 Foster Grandparents spread throughout the United States. It offers these seniors, and other future volunteers, opportunities to serve as mentors, tutors, and caregivers for children and youth with exceptional needs. These seniors volunteer in schools, hospitals, drug treatment facilities and correctional centers, Head Start and other day care centers. Working out of one of the countys Justice of the Peace courts she will try to keep these kids on track the best that I can, she said. So many of these kids have parents who leave for work well before they leave for school. So many of them might just sleep through the morning, start playing and forget about the time or just decide to stay home. Peterson hopes to put a stop to all of that. I have no idea how widespread this might be in Harris County or if the program even exists here. I hope it does exist as the cause sounds great to me. There are thousands of kids who need such help and maybe we seniors can make a difference. Foster Grandparents is one of the programs federally funded with National Senior Service Corps. If you are interested please call them and start the volunteer process. Donna Peterson of Orange County did just that and is making a difference in her community. You might be able to do the same. Don Springer can be reached at touchlife@ worldnet.att.net. For the second consecutive year, a new sales record was established at the 48th annual Livestock Show and Country Fair, held Feb. 9 at the M.O. Campbell Educational Center. Members of the Aldine community pledged $120,400 for various projects, eclipsing last years mark of $100,000. The money raised by the students is theirs to use for college scholarships or to fund future FFA projects during the 2007-08 school year. 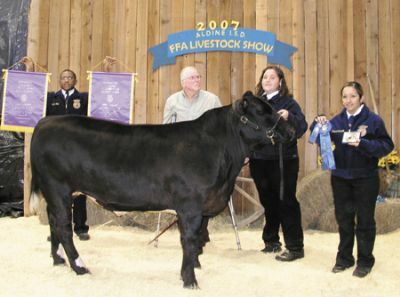 Nimitz High Schools Amanda Ruscher raised the grand champion steer, which was purchased by the First Construction Group for a record-setting $18,000 (last years grand champion steer sold for $16,000). The reserve grand champion steer was raised by Ashlee Palermo of Nimitz High and was also purchased by the First Construction Group for $9,5000. The grand champion pig was raised by Ebony Bouldin of Nimitz High and was purchased by the Retirement Benefit Group for $6,000. The reserve grand champion pig was raised by Derek Lloyd of Nimitz High and was purchased by the Aldine Buyers Group for $4,000. The grand champion goat was raised Kristi Bielamowicz of Aldine High and was purchased by W.G. Burchfield & Bro. for $4,000. The reserve grand champion goat was raised by Jonathan Willis of Aldine High and was purchased by the Retirement Benefit Group for $3,250. The grand champion lamb was also raised by Bielamowicz and was purchased by the Aldine Buyers Group for $4,000. The reserve grand champion lamb was raised by Blake Clement of Aldine High and was purchased by the Eisenhower Vertical Group for $3,000. The grand champion Turkey Tom was raised by Jennifer Weikel of Nimitz High and was purchased by First Southwest for $2,500. The reserve grand champion Turkey Tom was raised by Stephon Tillis of Nimitz High and was purchased by the Nimitz Vertical Group for $2,250. The grand champion turkey hen was raised by Blake Clement of Aldine High and was purchased by the Aldine Vertical Group for $2,250. The reserve grand champion turkey hen was raised by Ebony Bouldin of Nimitz High and was purchased by Beasley Tire Service, Inc. for $2,250. The grand champion broilers were raised by Ashlee Palermo of Nimitz High and were purchased by Texas Southwest for $3,000. The reserve grand champion broilers were raised by Jennifer Weikel of Nimitz High and were purchased by Republic Central Realty, Inc. for $2,250. The grand champion fryer rabbits were raised by Joel Hickman of Aldine High and were purchased by UBS Financial Services for $2,500. The reserve grand champion fryer rabbits were raised by Willis Tillis of Nimitz High and were purchased by the Superintendents Group for $2,250. The grand champion horticulture project was produced by Kristi Bielamowicz of Aldine High and was purchased by the Nimitz Vertical Group for $2,000. The reserve grand champion horticulture project was produced by Katie Sullivan of MacArthur High School and was purchased by the MacArthur Area Group for $2,100. The Aldine High scholarship cake was purchased by the Aldine Vertical Group for $1,000, while the Eisenhower High scholarship cake was purchased by North Houston Bank for $700. NORTHEAST HOUSTON Residents of Westfield Estates, and surrounding neighborhoods attended a meeting last Tuesday night about the quality of water and waste water problems in their areas. The meeting was hosted by Harris County Precinct 2, and the presentation of an environmental study was made by Dr. K. Sommer Ramsey of the Houston Galveston Area Council. Over 100 persons attended the meeting, and showed great interest. However, after Dr. Ramsey made her remarks, she took questions that indicated the audience was expecting a different type of information. Ramseys slide show had focused on the $400,000 study results, which showed that many ditches and Halls Bayou had evidence of e. coli bacteria contamination, a potential health threat to humans and their lives. This was the second government study of the same problem, according to state sources contacted by the Northeast News. A $200,000 study in 2005 covered much more of the Aldine area, and concluded much the same results. She explained that e. coli comes from humans, dogs, chickens, and other non humans. So-called black water in the ditches is a sure sign of a failing septic system. This might be from aging of the system, or inadequate maintenance, or a field that is too small for the load. She said that the Environmental Study, conducted for HGAC by the engineering firm of CDM, is the first step in getting funding from various sources to solve the problem in a long term scenario. However, she was pessimistic about any short term solutions or help for residents, and this met with a great deal of dissatisfaction from those attending the meeting. 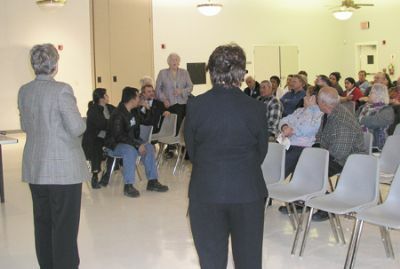 During the public participation portion of the meeting, complaints were heard from many because there was no Spanish presentation, although many in the audience did not speak English. Community Center director Lisa May did some translation of questions and responses, but in general the main points of Ramseys information were in English only. She said that the CDM study showed a new waste treatment plant, sewer lines, and lateral connections were needed in the area. However, the budget for this was around $12 million dollars, which was not available for many years, perhaps as many at 10 in the future. She urged residents to form a shareholders group to lobby for agencies to help achieve the waste water improvements. However, residents complained, both in English and Spanish, that they expected and needed more help from the government agencies involved. Simply cleaning the ditches would help, they said, but the County refuses to do this because of the contaminated water in them. Also, dead animals are left in the streets, with no one removing them, they said. A petition was passed, for residents to protest and ask for more assistance. An obvious need, if septic system improvements is the only answer, is for government money to help pay for this work, they said. Dr. Ramsey suggested that the next step for government was to pursue grants and other funding from federal, state, county and other sources. Gerald Overturf, a board member of the Aldine Water and Sewer Authority, expressed the groups frustration when he said that we are here about septic systems, when we should be hearing about waste water systems. The audience was also displeased that Commissioner Garcial was not present and expressed the desire she attend the next presentation, and that it be conducted partially in Spanish. 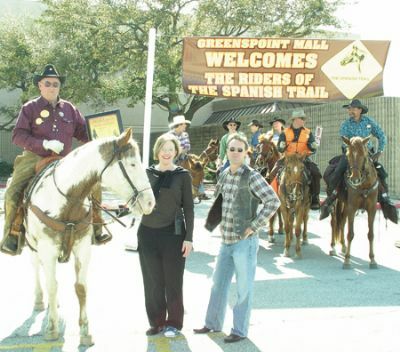 Northeast Houston said goodbye this month to a major community leader. Dr. David Sam, president of North Harris College, moved to Illinois this month to accept a position at Elgin Community College in order to be closer to his wifes family. 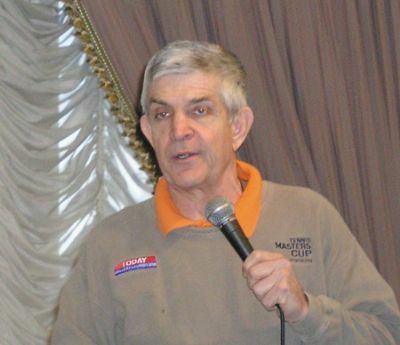 For the past seven years, Sam was an active member of many community organizations. He served on 14 advisory boards for organizations around the city. Locally, he was the president of the Humble Rotary Club, vice chairman of the North Houston Greenspoint Chamber of Commerce, and a board member of the Greater Greenspoint Redevelopment Authority, Leadership North Houston, Northwest Assistance Ministries, and the Aldine-Greenspoint YMCA. Sams diverse educational background helped him become involved in a variety of community projects and bring a gentle style to resolving issues. Sams undergraduate degrees were in economics, political science, and history. He then earned an MBA of finance and marketing, and a masters in law and diplomacy. He received a PhD in philosophy from Tufts University, and in 2001 he earned a law degree. Sam is a firm believer in the importance of education and its ability to transform lives. He came to America from Ghana as a foreign exchange student in an Illinois high school and then returned to America for his college education. Sam served as a role model to North Harris College students as far as the importance of a continuing education. Under his leadership, NHC increased retention and graduation rates; received several federal grants; and expanded the campus through new construction and renovations of more than $23 million. 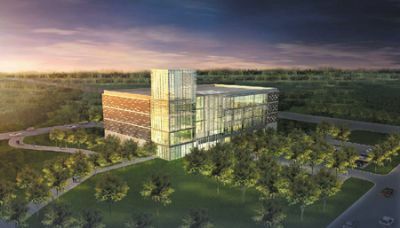 HOUSTON  Houston Community Colleges Capital Improvement Plan takes a giant step forward toward the creation of full-fledged campuses for its six colleges, with two groundbreaking ceremonies set for its Northeast College on Wednesday, February 21, 2007. The first groundbreaking at 10 a.m. at HCCs Northeast (Codwell) Campus, located at 610 North and I-10 East, will be for two new facilities: the Energy Institute and Science and Technology Building and the Student Services Learning Hub. It will be followed at 2 p.m. by the groundbreaking for the new Northline Academic Building, to be located near HCCs current Northline Mall location at I-45 North and Crosstimbers. Officiating at the ceremonies will be HCC Board of Trustees Chairman Christopher W. Oliver, HCC Interim Chancellor Dr. Norm Nielsen and HCC Northeast College President Dr. Margaret Ford. The 47,000-square-foot Science and Technology Building will house HCCs state-of-the-art science labs, including specialized labs for biotechnology, process technology, instrumentation engineering technology and chemical laboratory technology. HCCs Energy Institute, providing academic preparation, continuing education and contract training, also will be part of the building. The 90,000-square-foot Learning Hub will contain classrooms, a 20,000-square-foot library,state-of-the art computer labs and the Student Life Center, where students will have easy access to all student services, including admissions, financial aid and counseling. The 138-acre Northeast Campus already includes Codwell Hall, which currently houses classrooms and departmental offices, and the Roland Smith Commercial Truck Driving School. Three new facilities for HCCs Public Safety Institute, providing training space for law enforcement, fire and emergency medical personnel, will open on the campus this year. At the new 24-acre Northline Campus, ground will be broken for the first facility on that site, a 118,000-square-foot, four-story building, which will serve as the academic center for the campus. The building will contain classrooms, laboratories, a library, an art gallery and space for community events. It is designed to maintain a low profile in the adjacent residential community, while at the same time providing a new and refreshing development to enhance this urban setting. Future site development at the Northline Campus will include green space and walkways to provide a college campus atmosphere. HCCs Northeast College, serves more than 13,000 students, providing a complete academic and workforce curriculum with specializations in public service/public safety and science technologies and is home to HCCs adult and basic education programs. Fifty years ago, minus about six months, I began a new career in the Employee Relations Department for a large chemical company back East. My initial assignments were in benefits. As all benefits administrators, I got a lot of questions from employees about what is covered under the companys health insurance policy and what isnt. Over the years the philosophy has changed some. Recently I read in an Associated Press story about this very topic. While many preventative drugs and treatments are now covered we still arent there completely. The article said a new study shows picking up the tab for certain medications taken by people who had suffered a heart attack could save insurance companies money in the long run. If it is going to save the big boys some money some of that savings will eventually trickle down to me, the policy holder, and I favor that. Continuing with the article, A combination of heart medications and cholesterol-lowering drugs has been estimated to reduce the risk of death from heart disease by 80 percent compared with a placebo. Yet the medications continue to be greatly underused. One answer to that problem would be to provide full coverage of the heart medicines to those who had a previous heart attack, instead of requiring the patient to pick up a share of that cost. Often the extra coverage could be entirely offset by the savings generated when health problems are averted, said researchers at Harvard Medical School. It seems the extra coverage would cost insurers an average of $550 per patient, but that would lead to fewer deaths and nonfatal heart attacks and strokes, saving $1,731 in costs per heart-related event. Thats a cool $1,181 in savings per event for the insurance companies. Multiple that by the millions of policy holders with heart problems and that would mean Billions in savings for the big boys. That seems to me to be a great move, considering some of that savings would be passed on to me, the policy holder. To end where I started, maybe I dont have to git what Im gitting to git coverage. Sounds good to me.